I hope everyone is enjoying their weekend so far, this is another post about the kitchen, this section (I wish that I had a before picture but I don’t have any and I apologize) used to be a desk area. It was basically a piece of countertop with nothing underneath, so a chair could fit there. When we decided to make my office downstairs as you have seen, there was no point to this being a desk anymore. We never used it, so John came up with this idea and he decided to build me cabinet doors and a shelf (from scratch) inside. This gave me more storage for some supplies I have for cooking and baking and what girl wouldn’t love more storage? I took him up on the idea and I think he did a great job. 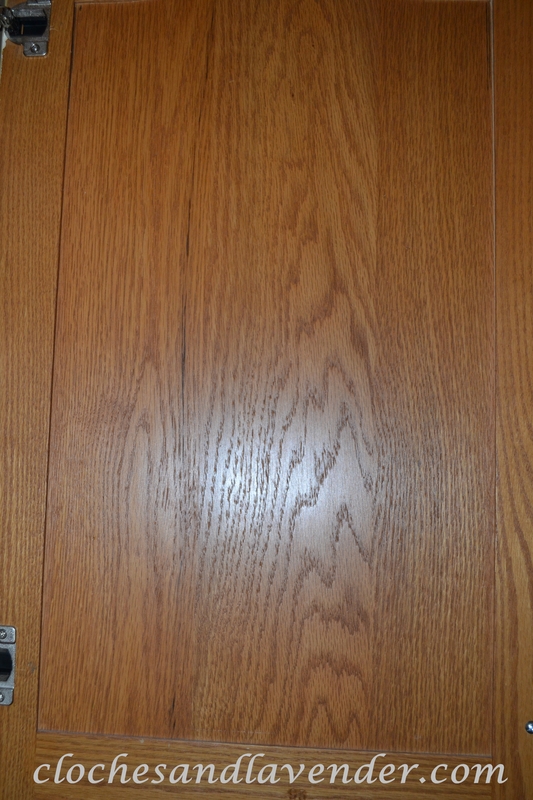 The top cabinets which you can tell by the photo we took of the inside of the door, used to be light like the other cabinets so I decided to make these match the island to make it look more like a hutch effect. I painted them the same color as the island and decided to stencil the doors to match the island and then I gave them a quick light wash of raw umber glaze. I also did the backsplash to match the bar area so they would look the same. It looks like you made much better use of the space since you already had a lovely office with a desk. And you are right that we can never have enough cabinets in a kitchen area. Nice work. So pretty! I love the stencils on the top doors and the wooden embellishments on the bottom door frames. And, such a better use of space. You can NEVER have enough storage! It just Benjamin Moore paint in eggshell and the name is Manored Gold, Thank for keeping up with me. Keep looking. Thank you so much I work really hard and enjoy everything I do in my home. Thank you for visiting me and come back I have so much more to share. I will be back to pay you visits. So glad you stopped by and liked my tarnished silver platters! Glad to have found you! 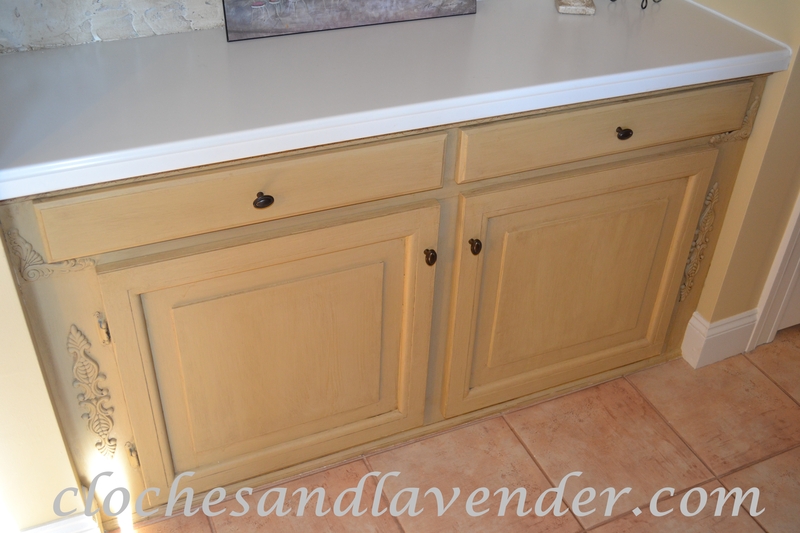 Your kitchen transformation is amazing! 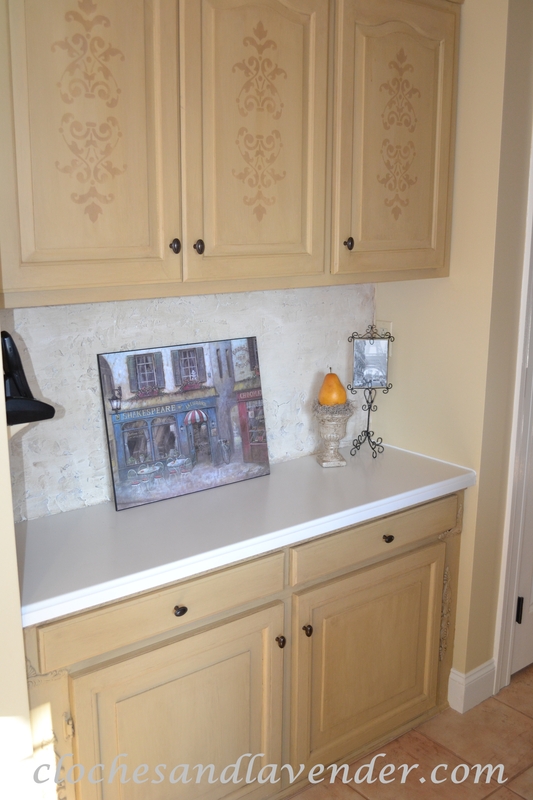 Love the way you created that plaster look right over your tile backsplash! 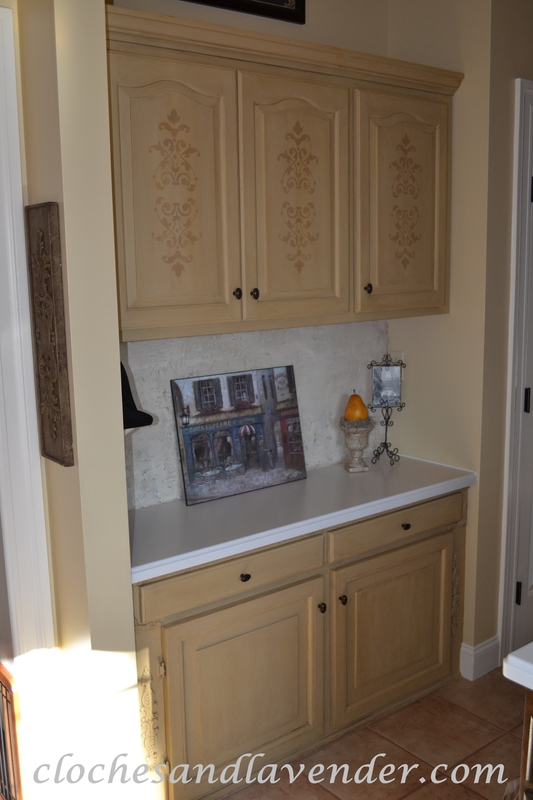 And the painted cabinets look amazing! New linky follower. Thank you stopping by my blog. I have more to come with fun projects. That looks very nice! Great idea! What a beautiful transformation! 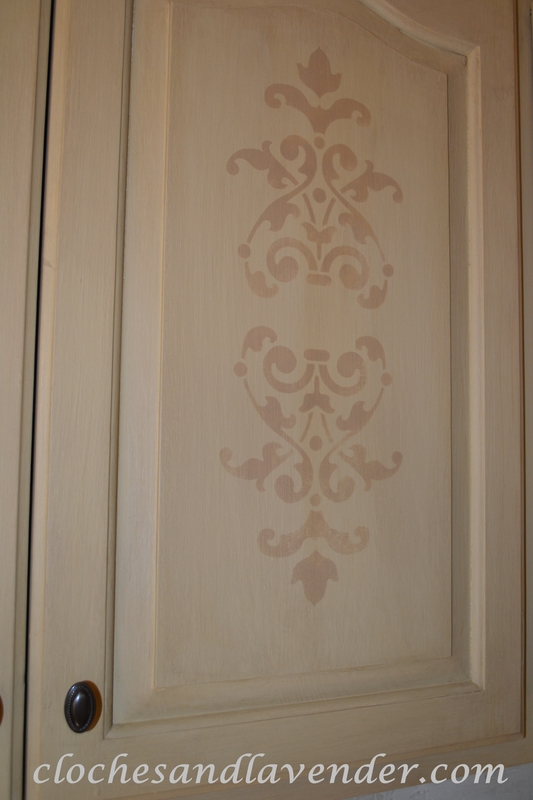 Love the color and love the stenciling! You did a great job.